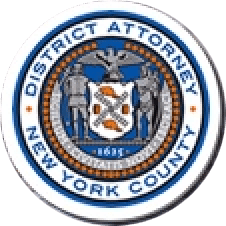 Manhattan District Attorney Cyrus R. Vance, Jr., today announced the trial conviction of BISMARK LITHGOW, 26, for fatally stabbing his 19-year-old girlfriend in his Harlem apartment in February 2013. The defendant was found guilty by a jury in New York State Supreme Court of the sole count in the indictment against him, Murder in the Second Degree. LITHGOW is expected to be sentenced on April 1, 2015. As proven at trial, on or about February 28, 2013, LITHGOW stabbed his 19-year-old girlfriend, Francis Pellerano, 38 times in his apartment located on the corner of West 140th Street and 7th Avenue in Harlem. When NYPD officers arrived at LITHGOW’s apartment responding to a 911 call nearly three days later, they discovered the victim’s body inside a barrel in LITHGOW’s room. A black plastic bag containing a knife and blood-covered towels was found next to the barrel. Assistant District Attorney Dafna Yoran prosecuted this case with Assistant District Attorney Ryan Hayward, under the supervision of Assistant District Attorney Alfred Peterson, Chief of Trial Bureau 70, and Executive Assistant Attorney John Irwin, Chief of the Trial Division.